Lac Seul is the second largest body of water located entirely within Ontario, Canada. Because this lake is shallower compared to some of the other lakes in Canada, many anglers find it easier to find some of the hot spots that hold walleye, northern pike, smallmouth bass, muskie and perch. It is one of the premier drive-in lakes in Canada for catching walleye and northern pike. 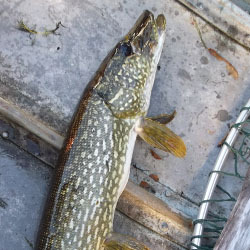 Northern pike in the 6 to 10 pound range are very common with many fish available in the 15 to 20 pound range. 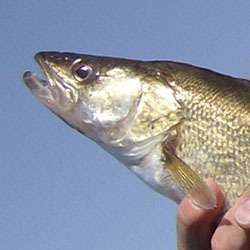 You should be able to catch walleye in the 2 to 4 pound range all day with many bigger fish being common. You will find many bays, islands and narrow channels where you can target smallmouth bass. Many fishermen also prefer fishing for lake trout and whitefish. There are plenty of options for fishermen on Lac Seul. As far as lodging goes, you will find resorts, cabins and cottages in the towns of Ear Falls and Sioux Lookout. If you are interested in planning a fly-in trip, there are resorts on Lac Seul that also offer fly-in trips to some lakes where you can catch walleye and northern pike until you are too tired to fish anymore. If you are an experienced angler, you might not have to take a fly-in. If you need some help, some of the resorts and lodges do offer guided fishing trips and this might be a good idea for your first day or two up there. Each detailed map provides depth, contours, structure, boat ramps, and updated fishing information. 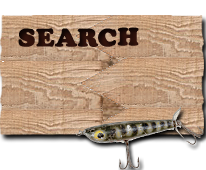 Lac Seul fishing maps also include lake info such as gamefish abundance, forage base, water clarity, weedline depth, bottom composition, complete latitude/longitude grid lines and dozens of GPS waypoints & coordinates.